Take evening Volvo coach from New Delhi, Departure 1800 Hrs, Overnight on the board. 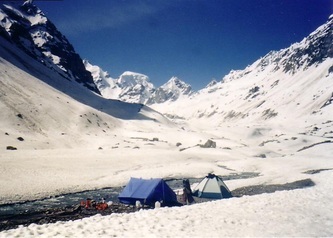 Arrival Manali by 0800 Hrs in the morning, Manali, according to legend, was born when the waters of The Great Deluge receded and the seventh Manus ark came to rest on a hillside in this valley. As the earth dried up there came up a place of breathtaking beauty which was named after the great sage. 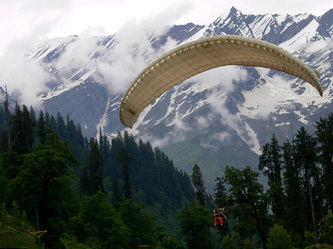 Over the last decade Manali has grown from a back of the beyond Himachali town to a busy tourist destination bustling with as many as 400 hotels. 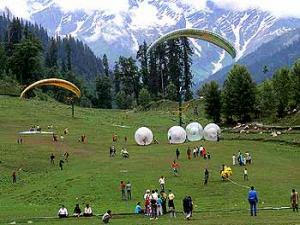 It is the centre of a flourishing orchard industry, a popular honeymoon destination and trailhead for numerous treks. After breakfast day is free for rest, Evening free for strolling on The Mall or on the bank of Beas River, Return to hotel by evening, Dinner & Overnight at Hotel. 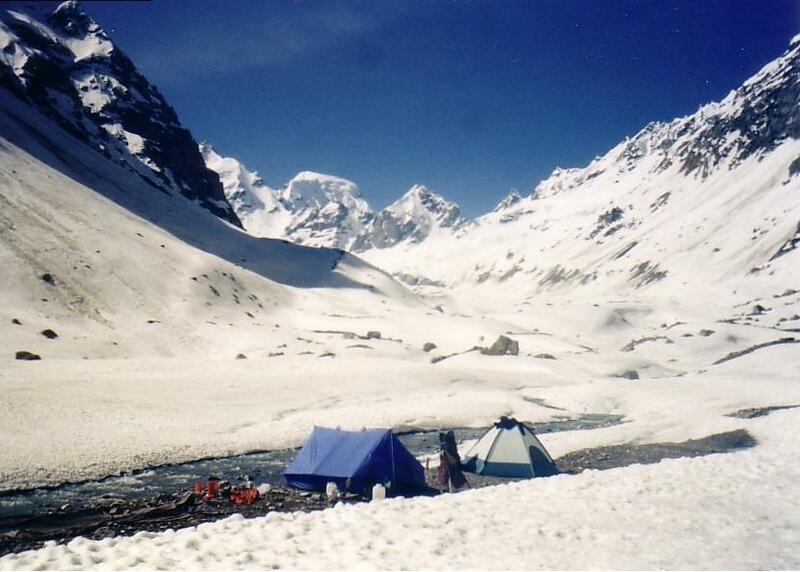 Kothi Gorge, Gulaba, Rahala Falls, Marhi and Solang Valley and, Enjoy skiing, paragliding and other adventurous activities (Cost not included), Return to hotel by evening, Dinner at hotel & Overnight at Hotel. After breakfast visit to Vashisth Bath (Vasisht Springs is situated at Vasisht village, just 3 Km from Manali. Sulphur springs gush forth from the mountains here and these springs have medicinal properties. A bath complex with a restaurant caters to the tourists. 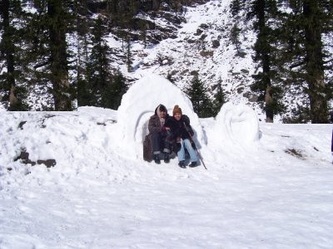 )Temples dedicated to Sage Vasishta and Lord Rama are located nearby), Hadimba Temple (Hadimba Temple /Dhungiri temple in Manali is one of the most important temples in the region. This four story wooden temple is located in the middle of a forest called the Dhungiri Van Vihar which is at the walking distance from the hotel. This temple was erected in 1553 and is dedicated to Goddess Hadimba, the wife of Bhima) and Manu Temple. Evening free for shopping on The Mall Road. Dinner at 2000 hrs & Overnight at Hotel. After breakfast day is free for shopping on The Mall, Bid adieu to Manali with lifetime memories and take evening Volvo coach at 1630 Hrs to Delhi, Overnight on the board. * Free entry to Discotheque. * Honey Moaners: Flower Bed Decoration, Fruit Basket, Kesarmilk at night, A Bottle of Wine, Candle light dinner. * Daily Morning Tea ,Brekfast,Dinner in hotels.